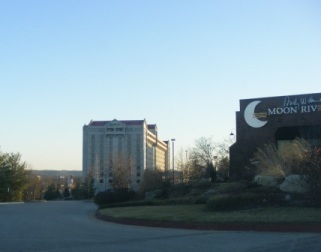 The Theaters that are close to the hotel include the Andy Williams Moon River Theater, The Baldknobbers Theater, The Presley's Theater, Branson Variety Theater, the Americana Theater, Clay Cooper Theater, the Branson Mall Theater and the Circle B Theater. Of course just a short distance further are another 20 theaters so everything in Branson is close. Besides the restaurants that are on site at the hotel, a wide array of choices are available including Florentina's Ristorante Italiano, Buckingham's Steak House, Andy William's Moon River Grille and Mel's Hard Luck Diner with the singing servers. More choices are available just within walking distance. You can't help but enjoy your stay with the many activity choices and a great hotel to sit back and relax.